No update candidate for 'dbus-1-python-1.2.0-4.194.x86_64'. The highest available version is already installed. Created symlink from /etc/systemd/system/sysinit.target.wants/target.service to /usr/lib/systemd/system/target.service. Created symlink from /etc/systemd/system/remote-fs.target.wants/targetcli.service to /usr/lib/systemd/system/targetcli.service. drwxr-xr-x 2 root root  60 Apr 12 07:26 .
drwxr-xr-x 3 root root 160 Apr 12 07:27 .. Created block storage object nfs1 using /dev/disk/by-id/scsi-14d534654202020201350f2ef1194d24fa4fb7d8a7c9345e3. Created symlink from /etc/systemd/system/pacemaker.service.requires/sbd.service to /usr/lib/systemd/system/sbd.service. Login to [iface: default, target: iqn.2006-04.nfs1.local:nfs1, portal: 192.168.1.100,3260] successful. # Whether to enable the pacemaker integration. # in the man page. No update candidate for 'fence-agents-4.0.22+git.1455008135.15c5e92-9.4.3.x86_64'. The highest available version is already installed. WARNING: NTP is not configured to start at system boot. active interface), a multicast address and multicast port. you can use it avoid split-brain scenarios by configuring SBD. specify here will be destroyed. WARNING: You should change the hacluster password to something more secure! 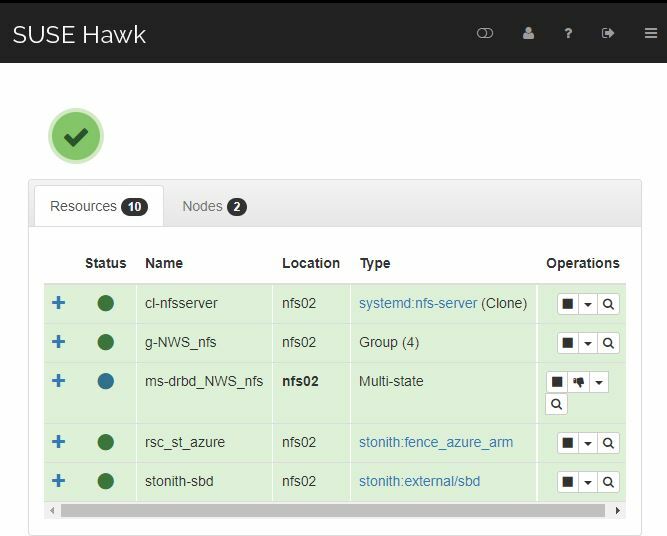 of any specific cluster node. password of the existing node. No update candidate for 'drbd-9.0.8+git.c8bc3670-10.8.1.x86_64'. The highest available version is already installed. No update candidate for 'drbd-utils-9.0.0-8.15.1.x86_64'. The highest available version is already installed. No update candidate for 'drbd-kmp-default-9.0.8+git.c8bc3670_k4.4.114_92.67-10.8.1.x86_64'. The highest available version is already installed. Created a new DOS disklabel with disk identifier 0x2d41462f. 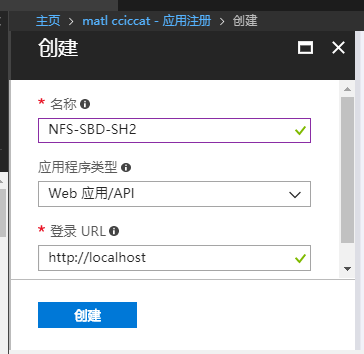 crm(live)configure# clone cl-nfsserver nfsserver interleave="true"
params subscriptionId="你的订阅Id" resourceGroup="SBD-NFS-SH2" tenantId="你的租户Id" login="AAD 应用Id" passwd="授权秘钥"